The rustic design with a simple silhouette and the detail of distressed, knotty alder veneers makes a perfect complement to an urban rustic, lodge or mission-style room. 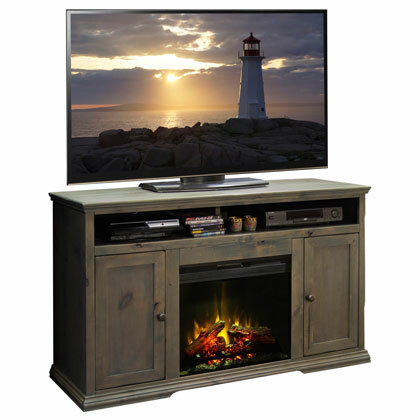 Offers open storage for media players, fully-equipped with wire management openings for wrangling all those wayward cords. The fireplace insert processes 4,600 BTUs of heat, but can be used without heat to enjoy the cozy, fireplace animation year-round.